When you move across the country, you have several choices. You can either ship a car to your new location, spend days driving to your new location, or you can sell it. Depending on your circumstances, one option may seem better than the other, and it's a good idea to get comparison prices before you decide what it actually best. First, you should remember that your car will probably not have held its original value. That means that selling can result in a big loss, depending on the size of the loan taken when purchasing your car. Consequently, you will have to buy another car when you get to your destination, potentially at a higher cost if the market value is higher in your new home town. In comparison, auto transport prices can vary dependent on the distance it will be transported, the frequency the route is traveled, and the speed of service. Vehicle shipping will most likely cost less than shipping a car, unless the value of your car is particularly low. For instance, if your car has a salvage title, it may not be worth shipping via an auto transporter. Finally, driving the vehicle yourself is a sensible option, and often the cheapest. However, during the trip you expose your vehicle to possible accidents, excessive mileage, and you may encounter the possibility of getting lost if you are unfamiliar with the roads being traveled. In particular, driving long distances by yourself can be dangerous, as falling asleep while driving can cause an accident, or even a fatality. 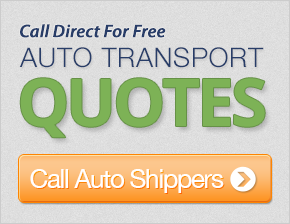 The most important part of purchasing auto transport services is choosing the right carrier. Do your research on the car shipping process and the federal regulations regarding the industry. Always read all the documents provided to you before signing them, and you should be in good shape to ship a car to a new location.